Moderation(s) is a year-long programme taking place throughout 2013 between Witte de With, Rotterdam, and Spring Workshop, Hong Kong. Its ‘moderator’, Singaporean artist and writer Heman Chong, will steer a program involving more than fifty artists, a conference, three exhibitions, three residencies and a book of short stories. As part of this – and elaborating on the approach of their recent project Incidents of Travel at Casa del Lago, Mexico City – the duo invited Hong Kong-based artists Nadim Abbas, Ho Sin Tung, Yuk King Tan and Samson Young to develop day-long tours, thus retelling the city and each participant’s artistic concerns through personal itineraries and waypoints. 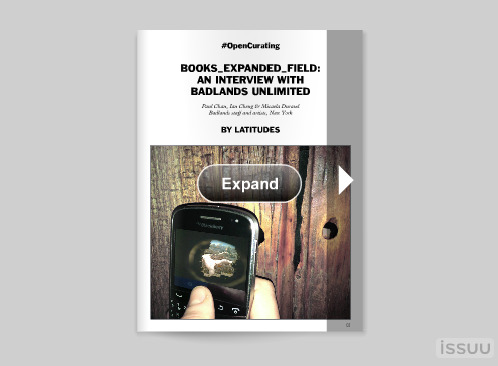 'books_expanded_field: An interview with Badlands Unlimited', New York-based publishing house. Founded in 2010 by artist Paul Chan – best known for his cycle 'The 7 Lights' (2005–8) and 'Waiting for Godot' in New Orleans, realised in collaboration with Creative Time and The Classical Theatre of Harlem – Badlands Unlimited is a New York-based publishing house whose motto is “books in an expanded field”. Its publications and editions in paper or digital forms (e-books for iPad or Kindle) acknowledge that “historical distinctions between books, files, and artworks are dissolving rapidly”. Badlands aspires to reimagine the activity of reading as it encompasses the artist book, choreography and poetry, 3D, experimental typography, historical translations as well as the format of the group show. 'From one history to a plurality of histories: An interview with Steven ten Thije'. Research Curator, Van Abbemuseum, Eindhoven. 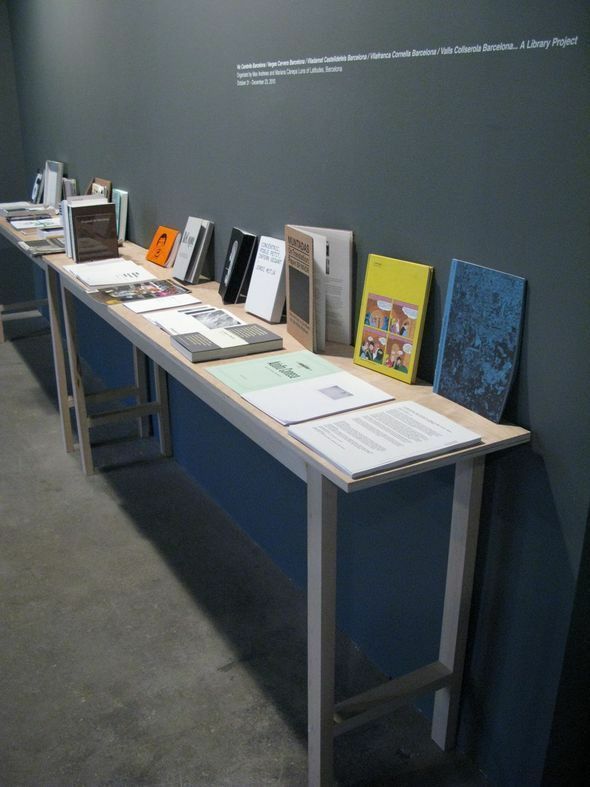 In response to Midway Contemporary Art Library’s holdings of museum catalogues and from publishing houses in Barcelona, Latitudes assembled a counter-accession of approximately 50 self- and micro-published books and paper editions by artists. Each publication was the work of an artist, designer, curator, or publishing initiative based in Barcelona or Catalonia since 2005. Although some were produced in conjunction with exhibitions, the books tended not to be traditional accompanying catalogues per se, but rather editorial propositions in themselves.